At Tao your food in not only cooked it’s choreographed. Highly skilled chefs trained in the art of entertainment will perform for you as they cook favourites steak, chicken, seafood and fresh Asian vegetables in a traditional Japanese style on hibachi (teppan) table. Teppanyaki dishes we served only at the bar teppanyaki in firsthall and in garden. 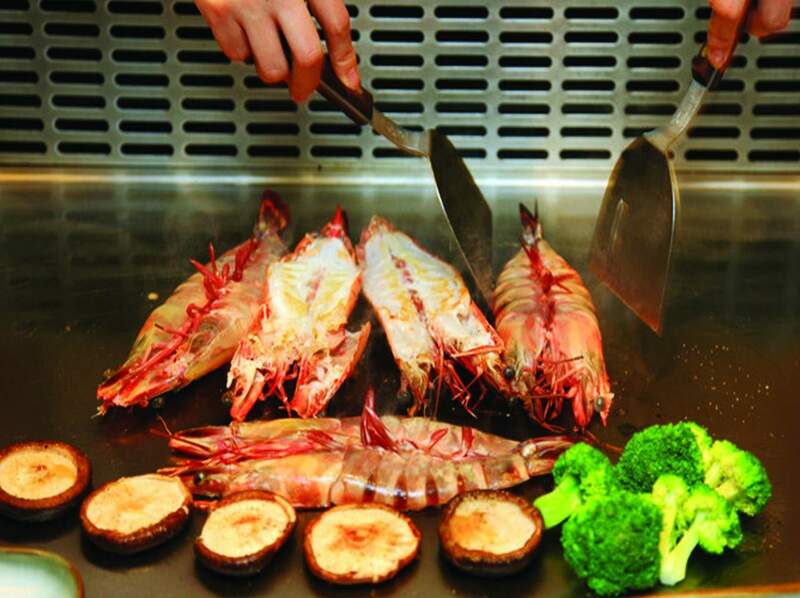 When you sitting at teppanyaki bar you can order only teppanyaki dishes. One teppanyaki set is designed for one person. Teppanyaki dishes are available from Thursday to Friday. Teppanyaki are served with classical Miso soup, kaiso salad with wafu dressing, Japanese fried rice and our homemade desert.